SAVE THE DATE!! Resurrection Sunday April 21st. This is always the biggest Sunday of the year for every church. And at Harvestime it will be the same. 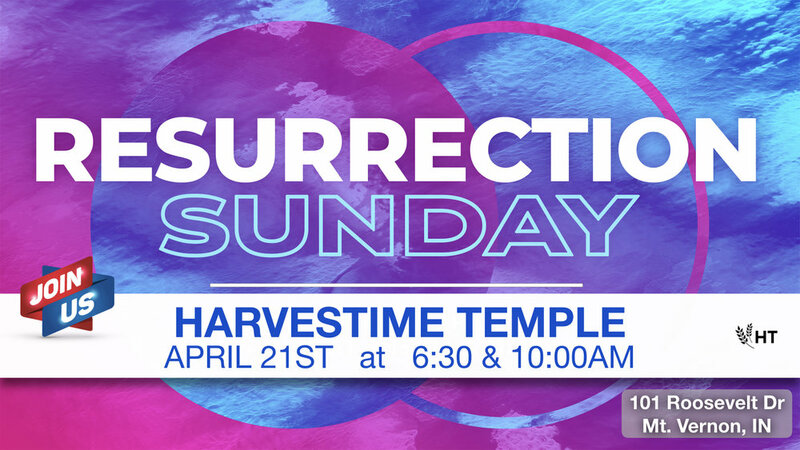 There’s will be lots of special events; Egg Hunt for kids, Sunrise (communion) service, and a huge morning service at 10am. Start now, by making plans to join, inviting your family/friends and receive HOPE in your life. Jesus has RISEN!! Join us on Wednesday Nights at 7pm as Pastor Mark teaches from Romans 8 on; “The Life of the Spirit”. This series will begin on Wednesday, April 10th and run thru Wednesday, May 1st — starting at 7pm each week.